As your business grows and evolves, so do roles and responsibilities. To ensure that your business runs seamlessly without compromising on efficiency, it’s essential for your business software suite to evolve and grow with your business. Very often, businesses that implement NetSuite don’t designate a single person in charge of the NetSuite implementation. Shifting to a cloud-based business suite like NetSuite requires time and extensive training. Businesses make the mistake of not appointing an admin or manager for the NetSuite implementation. The result, an employee becomes an “impromptu” admin, keeping the NetSuite cloud services functioning at the bare minimum. NetSuite is a major investment for your business, and you cannot afford to just “make it work.” You need expert and trained hands to get the most out of your NetSuite implementation and get your business moving forward on the right growth track. Here, in this article, you can find the top signs that indicate it’s time for your business to invest in NetSuite Administration. NetSuite has a wide array of features and functionalities that overcome a wide range of business challenges. If you are currently using a “stand-in” NetSuite administrator, they may not the requisite training to know about all the features of NetSuite that can be used for your business. For instance, you need to assign the right security roles and permissions to all NetSuite users. An impromptu administrator may provide too much permission to a beginner user, which in turn, may lead to mistakes that grow to be huge problems. Very often, when you don’t have a NetSuite administrator, you are likely to resort to temporary solutions and shortcuts, just to “keep things moving.” These temporary fixes and workarounds cause real problems later on that become a huge challenge to resolve. When implemented the right way, NetSuite helps your business achieve efficiency in all operations. It has the potential to improve productivity and keep your business running like a well-oiled machine. When you don’t have a NetSuite administrator, you are more likely to spend time on “fixing problems,” rather than tailoring your NetSuite implementation to drive efficiency. Migrating to a new business management system isn’t a task that can be completed overnight. You need to provide your employees with comprehensive onboarding, as well as, hand-holding till they learn the ropes. 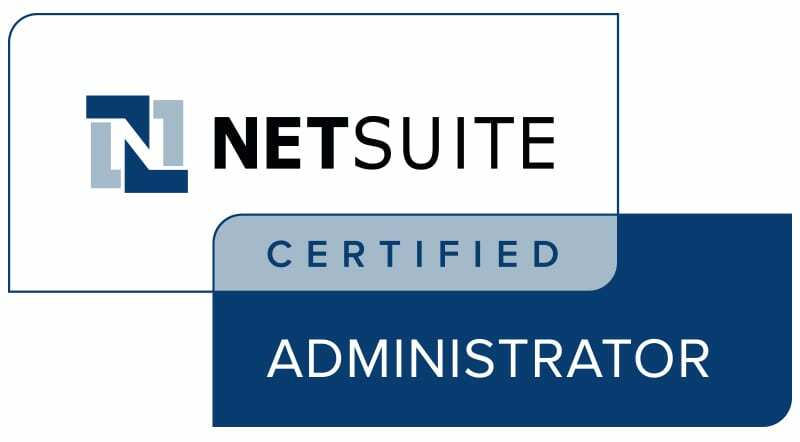 A qualified NetSuite administrator can help employees learn the ins-and-outs of the system, thereby getting them to work on it with confidence. Very often, businesses see NetSuite as another alternative for QuickBooks. While NetSuite does all that QuickBooks does, it does so much more. When implemented and executed the right way, NetSuite keeps your business growing, thereby boosting your bottom line. If you don’t see your business processes improved after NetSuite implementation, then it’s a sure sign that you need NetSuite Administration. NetSuite is one of the best tools to grow, expand and seamlessly run your business. If you notice any of these five signs listed above, then it’s time to invest in NetSuite Administration or enlist the services of a certified NetSuite administrator, to get the most out of your system.